Or, get it for 15600 Kobo Super Points! Four acclaimed novels by “a born storyteller,” the New York Times–bestselling author of The Rules of Magic and The Dovekeepers (Entertainment Weekly). 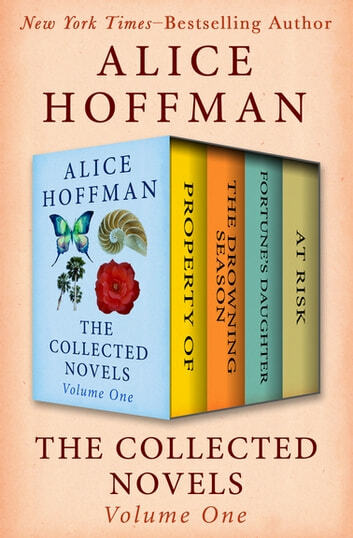 One of today’s most beloved authors of lyrical fiction with a touch of magic, Alice Hoffman boasts a body of work that has been praised by readers and critics from the very beginning. 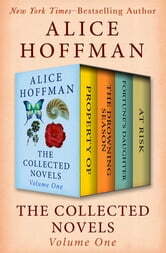 This collection includes her first novel, plus three more of her outstanding tales. Property Of: Hoffman’s debut about teenage girls in mascara and leather and their attraction to local toughs is “a remarkably envisioned novel, almost mythic in its cadences” (The New York Times). The Drowning Season intertwines the stories of two women named Esther: a granddaughter, who yearns to escape the Long Island shore and the coldness of the family matriarch; and her grandmother, who fled her abusive parents in Russia decades before. This novel “casts the spell of all great fairy tales. It takes daily life and transforms it into myth as we watch” (Chicago Sun-Times). At Risk is a New York Times bestseller that “will leave few dry eyes” (Library Journal). In 1980s America, a family copes with their daughter’s terrifying AIDS diagnosis.